Every morning I pop on this little black beauty. 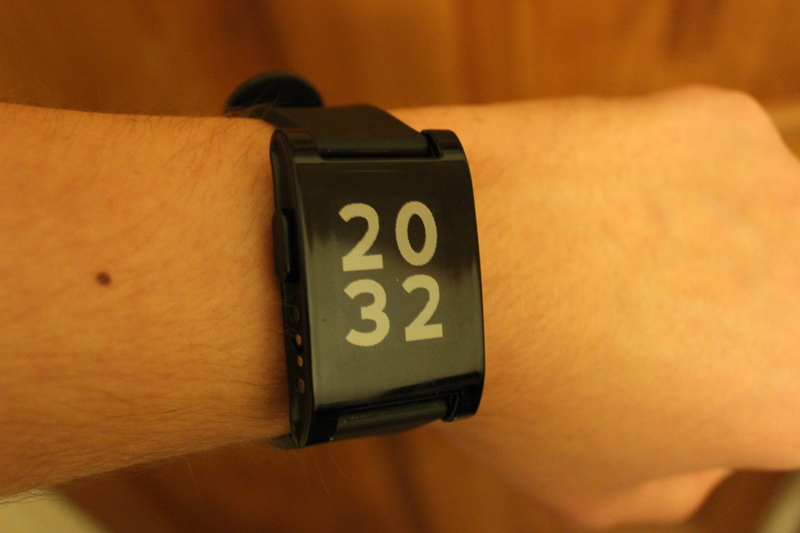 It feels like an age since I backed Pebble on Kickstarter (19th May 2012, to be exact) and ever since receiving the watch in late May 2013, I have worn it every day. Apart from the time I lost the charging cable and the other time I forgot to charge it. It connects to my mobile with Bluetooth and when I receive a text, call or Twitter mention a little notification pops up on my watch. The other neat feature is that I can control Spotify on my phone from the watch, so when I’m on the tube I don’t have to fidget to get my phone out and can simply press a few buttons to change the track. The battery lasts about a week, and the charging cable is a USB one so I can plug it in pretty much anywhere! The best bit about it? I graduated with my Pebble on and you can clearly see it when I was on stage!